The iPod Nano 2G was the second release of the iPod Nano line of products. This is a device very similar to the iPod Nano 1G, except that it had an even smaller screen and was more compact. It also came in many different types of colors. You can get it in red, green, blue, white, black, and many other colors as well. The iPod Nano 2G commonly needs LCD screen replacement, although it is not quite as popular as re-casing services. 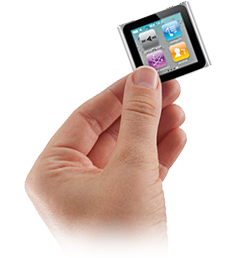 As an iPod repair centre, re-casing services are one of the most commonly requested repair services for iPod Nano 2G devices. This is primarily because the device is fairly brittle and can be broken easily, even though it is actually a bit stronger than the iPod Nano 1G.